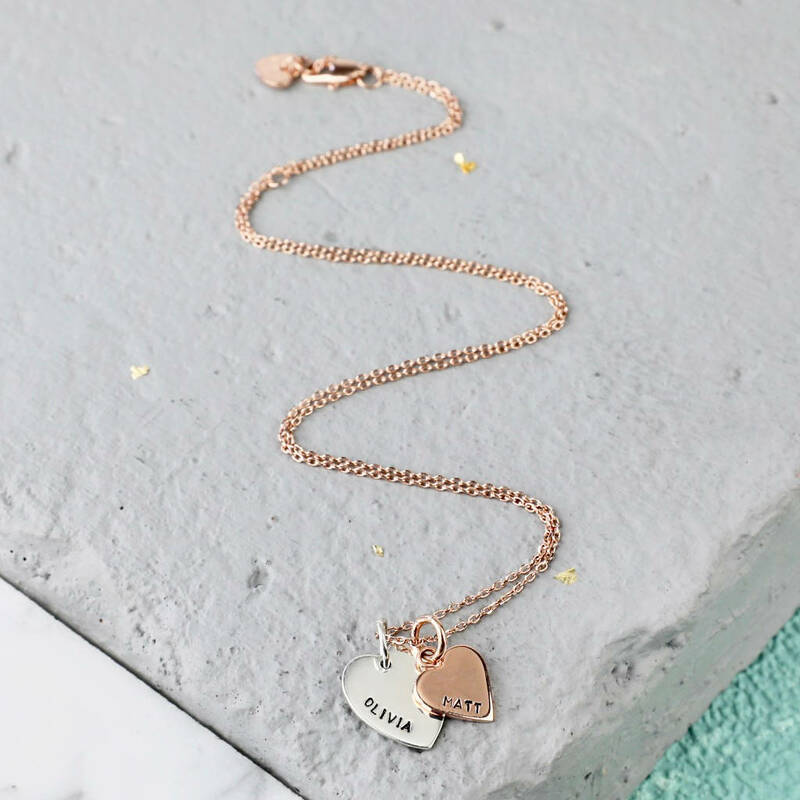 A beautiful necklace of sterling silver, solid 9ct gold and solid 9ct rose gold heart pendants, designed, handmade and personalised by our exceptional jewellery team. 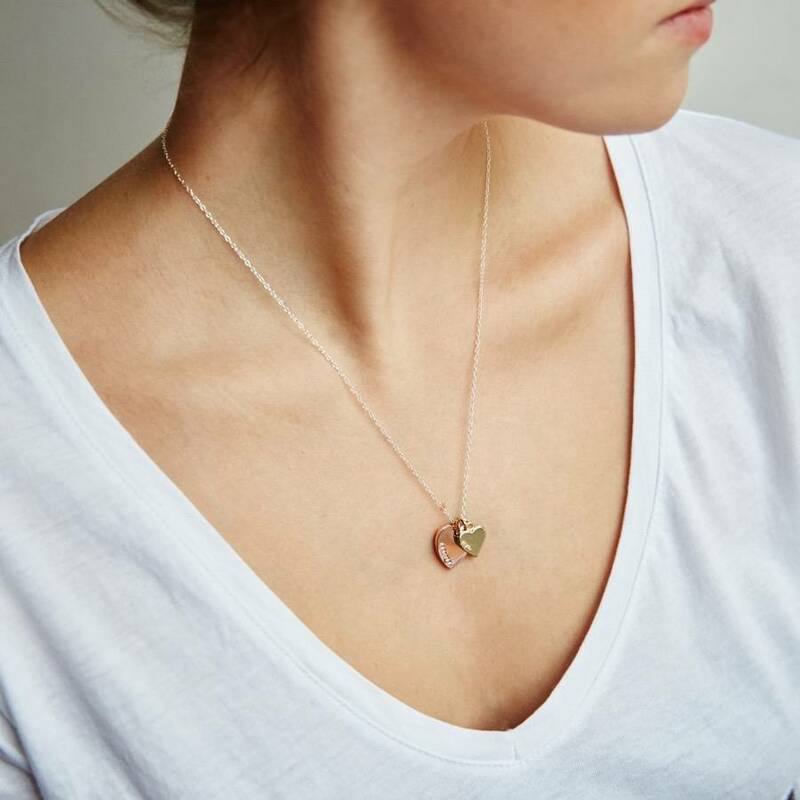 A luxury piece of jewellery, this double heart pendant necklace is created here in the UK by our skilled creative teams at Lisa Angel just for you. 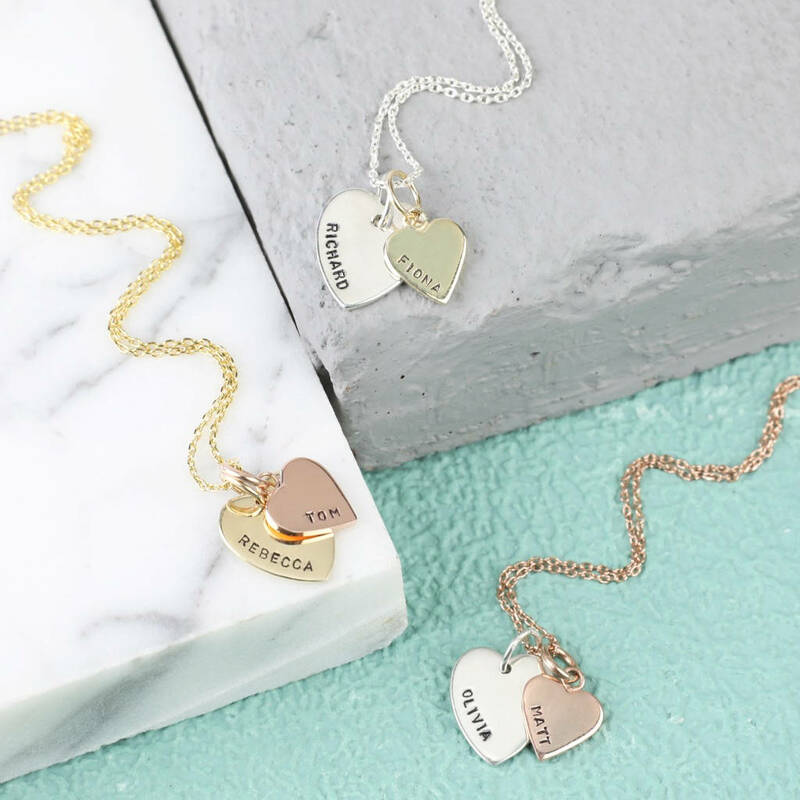 For the small heart pendant, choose from solid 9ct gold or solid 9ct rose gold, and for the large heart pendant, solid 9ct gold, solid 9ct rose gold, or sterling silver. 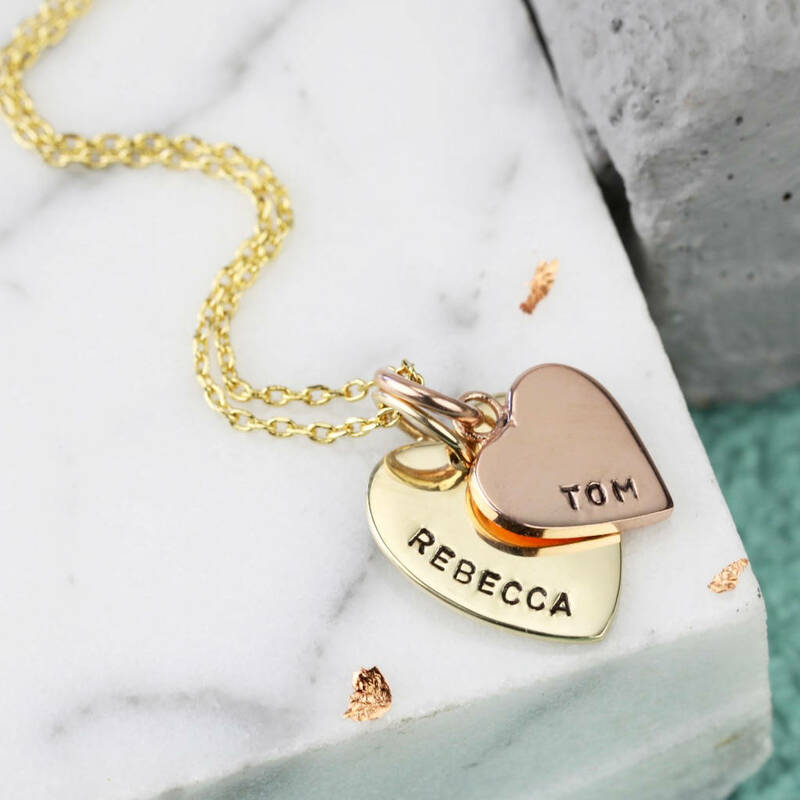 Then choose a 14ct rose gold plated or 18ct gold plated sterling silver chain to finish off your accessory. 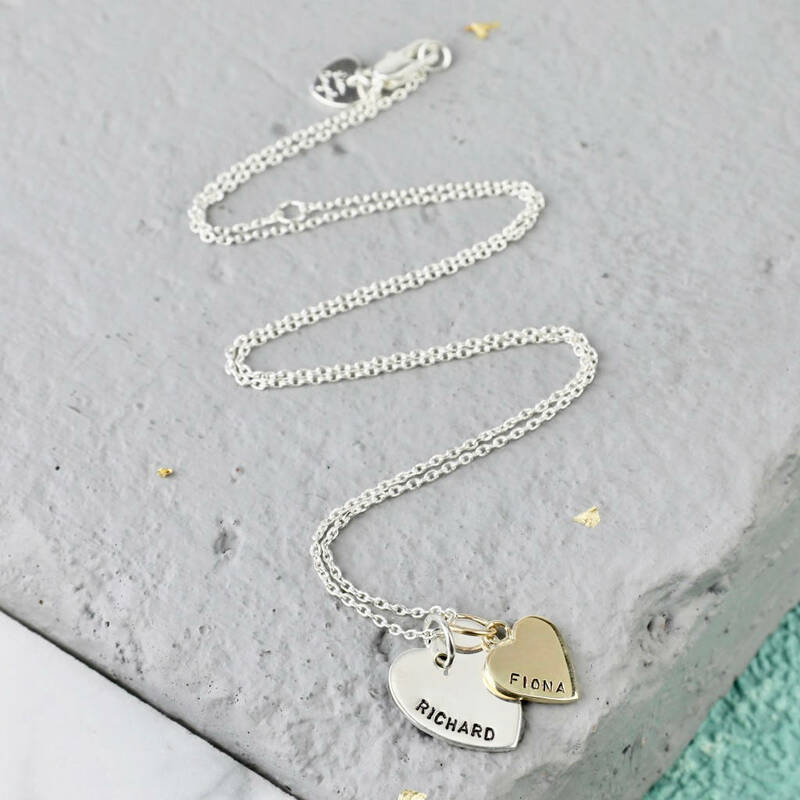 This already beautiful necklace will then be meticulously hand-stamped with your wording by our wonderful jewellery team to create a simple yet stunning, high-quality necklace to treasure forever. 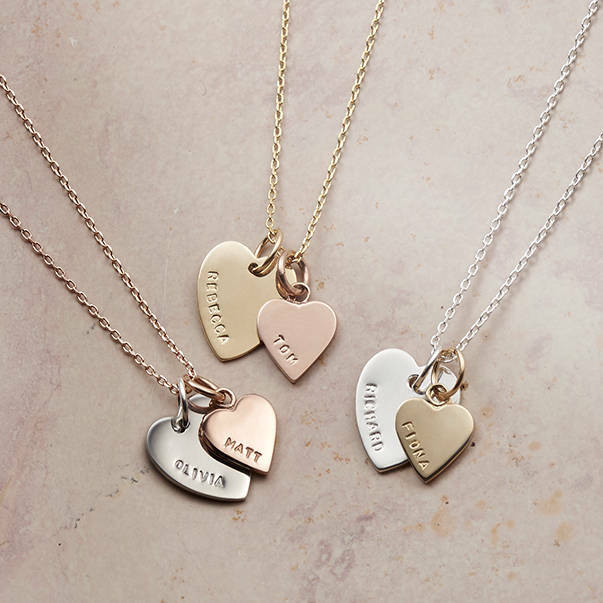 Personalisation: choose either a gold or rose gold small heart pendant and a gold, rose gold or sterling silver large heart pendant. 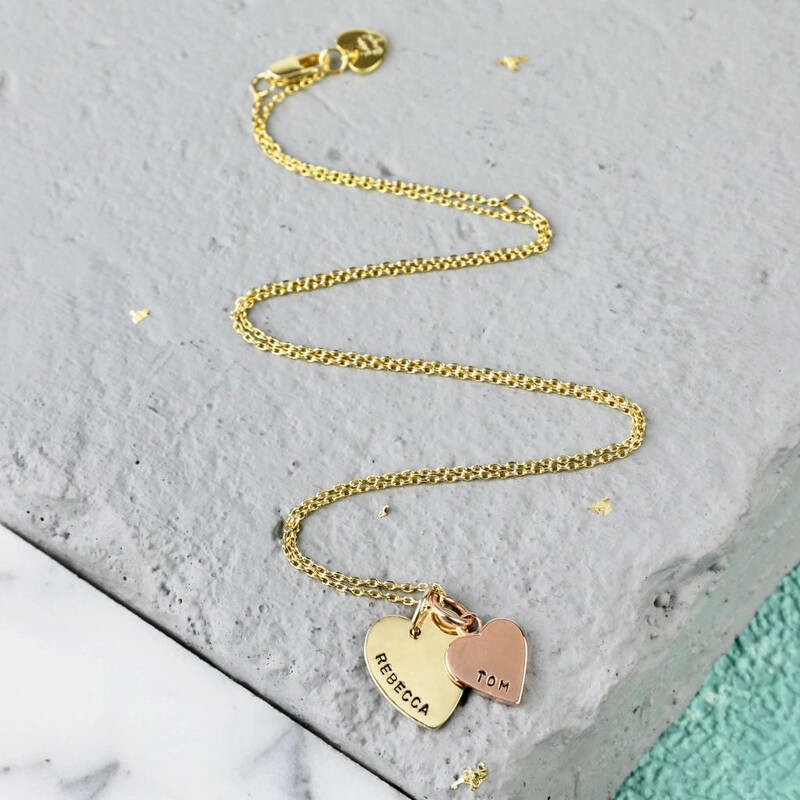 Suspended from a sterling silver, gold plated or rose gold plated chain. 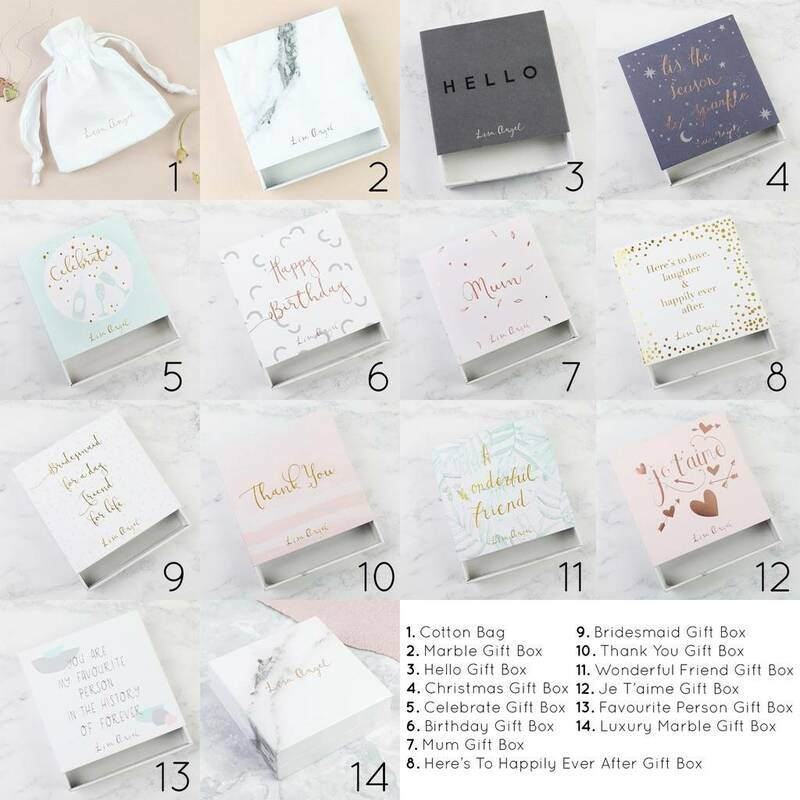 Each heart will be expertly hand-stamped with names of your choice. 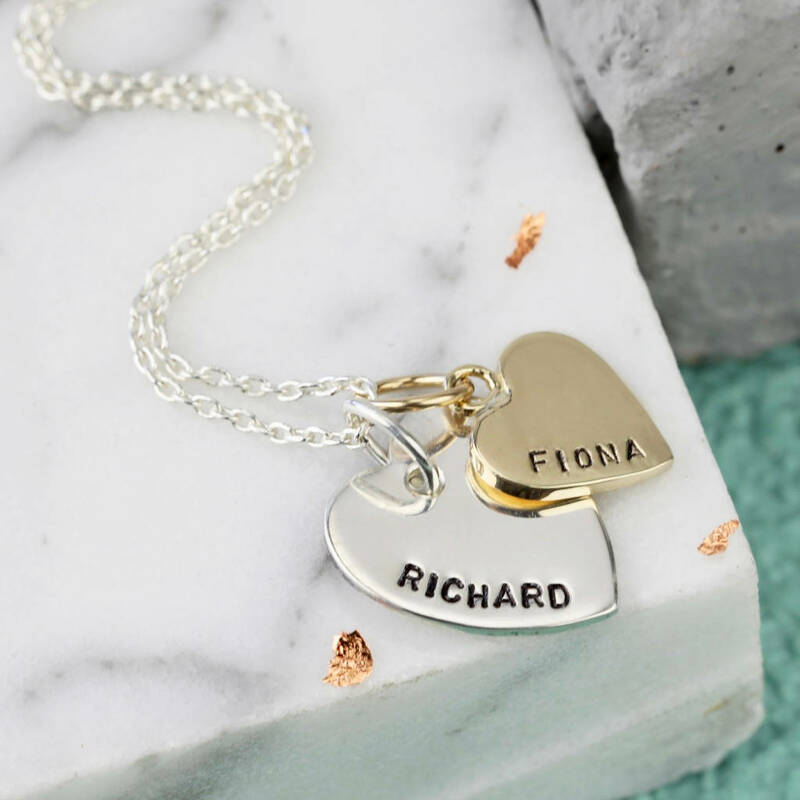 Please note: price indicated is for a solid gold or rose gold small heart pendant, and a large sterling silver heart pendant. 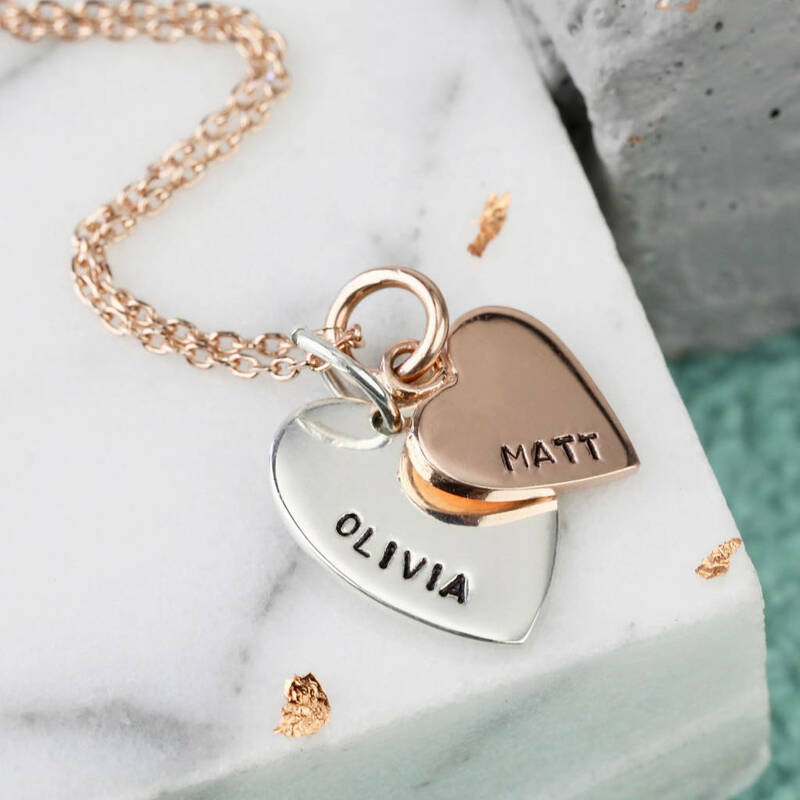 Due to the high quality material used, if you would like a solid gold or solid rose gold large pendant it will cost an additional £70. Character limits: small heart - up to 8 characters. Large heart - up to 12 characters including spaces and punctuation.